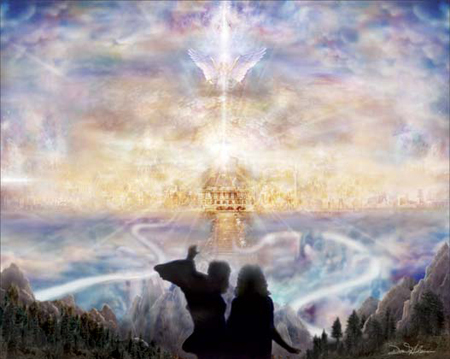 The Spiritual Hierarchy has classified this year as “Embracing Harmony to Expand Love”. They chose this title as we were stepping into a new paradigm of light within the planet and it is each individual’s choice in how they are going to allow harmonization to be part of their existence. I think that each of us would agree that 2015 has truly moved us to shake out the cobwebs in order to see the True Essence that we are becoming. The Old Self is dying in order for the Divine Self of our Higher Essence to become more intertwined within the physical existence. How do you think about this transition within your personal life? It is important for us to reflect continually on our past experiences so that we can see how we have changed, what we did to help ourselves through that process, and then address if it was an achievement or a lesson that needed to be learned. As we stepped through the Summer Solstice we were gifted to have more realizations through our Angelic Essence that is becoming more apparent within our physical world. It is so important that we have the realizations of our gifts as an angelic being and seeing the Veil of Forgetfulness being removed so that the clouds can disperse away from us. This transition of light is a guide to help every individual to fully embrace more of themselves than they did previously. The important aspect of allowing these energies to become infused within us is to accept more of what we have lost in previous timelines so we can be better at infusing the Light within our Physical Existence. We should never loose these moments of acceleration as they take us deeper into the core of our Heart Essence to allow our Higher Mind to be fully activated. The doorways we walk through are guiding us into the next phase of our journey to be grounded and fully activated. As Lord Adama shares, it represents our Foundation. In late July the Lion’s Gate opened up to give us yet another opportunity to see things differently and act upon the parts of ourselves that need to be acknowledged. This has been a very powerful activation as it represented 8-8-8 being that 2-0-1-5 is the sum of “8”. It is a number of great success, completion, the Trinity of Light, manifestation of desires through the physical, emotional, mental, and spiritual. 8-8-8 is a number that says “the Universe supports you in your endeavors” and is a beginning of allowing your full essence to be embodied within you. 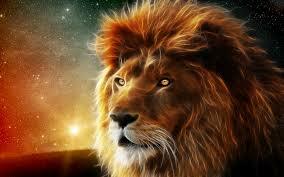 As we have now walked through the Lion’s Gate is a time of great reflection and creation of the New You as we prepare to experience the Super Moon’s of August, September and October. I would like to share with you some of my reflections of this summer. As many of you know, Michael and I (my Divine Partner) were preparing for a wedding to occur on August 8th 2015. The challenges we have endured financially to put this small and beautiful event together have been truly immense. Michael lost a dear friend in late June, which was a surprise when Michael was looking for his address online he fell upon his obituary. Paul was a special soul so it was quite a shock to our system. We worked through the energies in many ways. What we did do is call upon all the beautiful Beings in the Universe to help us through this time. We believe that being in Mount Shasta has shown us that we have the tenacity to get through any situation. We planned ahead as scheduled, did not allow any doubts to cloud our Higher Essence to move forward. Three weeks before the wedding I slipped getting out of the shower and pulled some ligaments in my left knee. I could not walk; Michael helped me to a chair in the bedroom, as I felt devastated in so many ways. I sat on this chair and looked at the bed; it seemed to be miles away from me, but we made it together. We got the office chair and I was able to hobble to the bed. I pushed myself up on the bed as he pushed the chair towards me. Believe me it hurt very badly but I kept remembering my I AM Presence and calling upon that part of me to get me through this challenge. As I was bedridden for almost four days, I had plenty of time to do the healing work. I called upon Dr. Lorphan, who is the Director of the Great White Lodge of Sirius. We communicated three times a day of what I needed to do while he and his Intergalactic Healers worked on me extensively. It was an amazing transition that I made without the use of third-dimensional medical help. I utilized all the Rays of God to be infused within my knee; as a Medical Intuitive I could see where the problem was and how to assist it with essential oils, massage, intense healing activations, and lots of sleep. Dr. Lorphan and his staff worked on me continuously and performed laser surgery on my tendons and knee. (He previously was working with me the last few months as I had a weakness in a tendon on the side of my leg; luckily, I was exercising with weights and cardio to strengthen my body.) One of our students, Rochelle, who lives in Mount Shasta is also in training to learn more of the healing techniques that I utilized with the Rays of God. She also assisted great with her Reiki skills by using the higher frequencies of light. I could not have done this without the workouts I had been doing. I was not stiff when I had to pull myself up by my upper body and I strengthened my quads every day in the bed. I had three weeks to process all of this energy and command it to be part of my physical reality. I was finally accepting my role as a Personal Alchemist. As the wedding became closer, I was able to walk with just one crutch and hobble around. I was walking but not putting full weight on the leg. Our students arrived for the wedding; we had many people assisting us in so many ways. Funds arrived every day to pay for the various services we needed; first, the flowers, then the cake, then the caterer and finally our rent. I know it sounds unbelievable that we would trust so deeply that all would be taken care of, but it is something we have learned being in Mount Shasta. Lord Adama, the High Priest of Telos, guides us every step of the way and we would never have been able to achieve all of this without his help. We know that the Universe was supporting us in so many ways. So in the days ahead of the wedding, I ate something and had a tooth that was loose. I was scared to death about it breaking so I was only drinking protein shakes and very little food. On the day of the wedding, I was sitting at the hairdresser having my hair done up. I was putting some Clove Oil on the tooth as the pain was strong. I pushed it a bit and felt that it was hanging by a thread. Luckily, Michael had stopped by after setting up the venue-wedding site and I asked a friend to bring him into the shop. I told him he had to pull it out. Luckily, Angie, my stylist had some vodka so I started swishing it in my mouth and took a few swigs. I just wanted it out. So Mike did as I asked. It was so loose that it easily came out. He told me he loved me and left. Talk about emotion – the release of having to go through this on my wedding day was immense, but I was so relieved to not have to worry about this tooth hanging in my mouth. Everyone at the salon was amazing and that made me cry even more. We laughed together and they even ordered some food for me next door (a sandwich shop) that I could get some solid food in my mouth. In those moments I had no regret. I think Mike was more scared than me in that moment, but I have had immense issues with my teeth and this was freeing for me. We carried on through the festivities. I had to change my shoes, as I could not walk even in a little high heel on the grass. 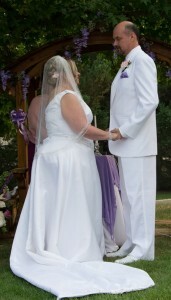 I walked with my niece, Jeanne, down the aisle towards Michael. The knee was still quite unstable but I made it. It was painful but it was the most amazing ceremony in my life to be united with my Divine Love in the presence of the energies of Mount Shasta and our immediate friends. We continued our journey with a summer retreat so I used the crutches to walk up Glass Mountain (not a steep incline). I was able to get into Medicine Lake and feel the waters around me with all of our participants. I even took the walk at McArthur-Burney Falls which included some steps and a couple of ramps. I actually found the following day that my legs were healed after the exercise. I felt I had achieved so very much during this huge time of transition. Everyone kept telling me how strong I was and I did not think about it ~ it was just something that I needed to do. I moved forward with the assistance of Michael and my Higher Essence. It was never a question for me not to go on these excursion or to continue with the wedding when the challenges arose. The end of the Lion’s Gate is now closed. Michael and I are now Divine Souls as One. We feel the difference in our energies. The power we have together is unmatched by anything else I could ever imagine. We are still having challenges in our finances but the work I have done with the I AM Supply book has helped me immensely to fully embrace my I AM Presence through the energetic essence of Love. We find that we utilize this energy to help us be calm and prepared for the next step. Some individuals may question as to why when we are doing such powerful work that we are being challenged by the financial pathway. I, too, have often questioned this as I have worked for 30 years giving great service to this Earth through my Divine Essence. The answer to that question lies in the fact that we do all our work in the service of the Creative Source of the 144th dimension. This is something that has not occurred on our planet. So we are constantly blocked by energies that want to stop us from bringing forth this pathway that Dr. Joshua David Stone, Alice Bailey with Master Djwhal Khul, and others before him had started. So it takes great diligence to continue on our pathway by accessing our higher essence through the Rays of God, within the Unified Whole Energies of the 144th dimension, and being in command with what we desire upon this earth through our I AM Presence. As the Feminine Divine becomes more active within the planet, we as the women will have to take on great responsibility. We are the holders of this essence, we bring forward the Magnetic Force; the men have the Electric Force but it needs to be ignited by our essence. I have learned through this process that it is my role to ignite the energies and Michael’s role to do the handiwork for it to be created. These have been great lessons for us in the past two weeks. Michael stands in his own power, but with our essences together, he is able to achieve more and he helps me to ground that creation of magnetic energies within my Foundation. It helps me to move forward, to be strong, and continue the journey no matter what the circumstances may be. So now we take what we have learned and adjust the way we experience our life. Our teachings are being upgraded due this summer as our lives have changed greatly. The old way of doing things must be readjusted to the higher octave of light that we are incorporating. I share my story as I hope it will help others to understand what they are experiencing in their pathway of Light. It is not easy for any of us and without the challenges I have endured in my distant past, I don’t think I would be this strong. So take what you incorporated during Lion’s Gate to go deeply within your Heart and allow it to push you to be better, go farther, and embrace your I AM Presence physically in each moment. Breathe deeply the new part of you that has appeared and allow the old to be removed. Don’t hold unto it; it will not serve your purpose any longer. Most of all, don’t forget what you experienced during the activation. It molds your immediate future. As these energies come into the planet, they will help to ground your Spiritual Foundation if you can acknowledge what you are experiencing. We have more activations appearing in our existence; we still have three fabulous Super Moons in August, September, and October along with a Lunar and Solar Eclipses in September along with the Fall Equinox. 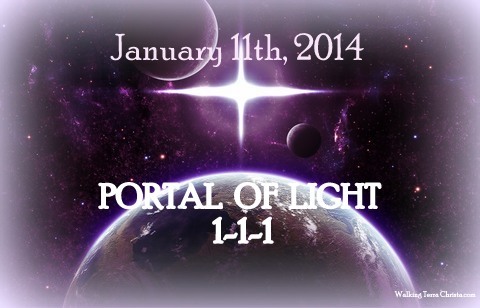 This is going to push us towards the 11-11 into another paradigm of Light within each of us. Spirit is suggesting that this year of 2015 represents 2012 but with greater magnificence and power that is beyond our realization of what can be within each of us. I believe this is true. We must delve deeper and work harder with our Spiritual Self to become One within our Physical Existence. It is a time of great magnificence when we allow the Magic to be within us. Walking Terra Christa is offering special programs for an individual to take advantage of our teachings through partnering with WTC. They will help us to sustain the funds that are necessary for this work to continue in the highest sense, and to help others to experience the teachings we are bringing forth from the Higher Beings of Light. There are several options a person can choose to listen to our recordings, join our classes live, or to become a Student of WTC. For more information please see: Partnership-Member. Due to the influx of energies within Gaia which started on the 23rd of November with the Uranus Pluto Square configuration and the Comet ISON, we have been asked to share two special messages from Spirit on this subject. It is being shared in two parts. (1) Lord Bear of the Great Bear System shared the Galactic perspective,; (2) this message from Master Albert Einstein of the Unified Whole assists lightworkers to understand what their role is by holding this light frequency and helping the rest of humanity to accept the changes that some individuals may be facing. We are honored and blessed to be able to share the perspective of both the Mastery level and the Galactic energies. 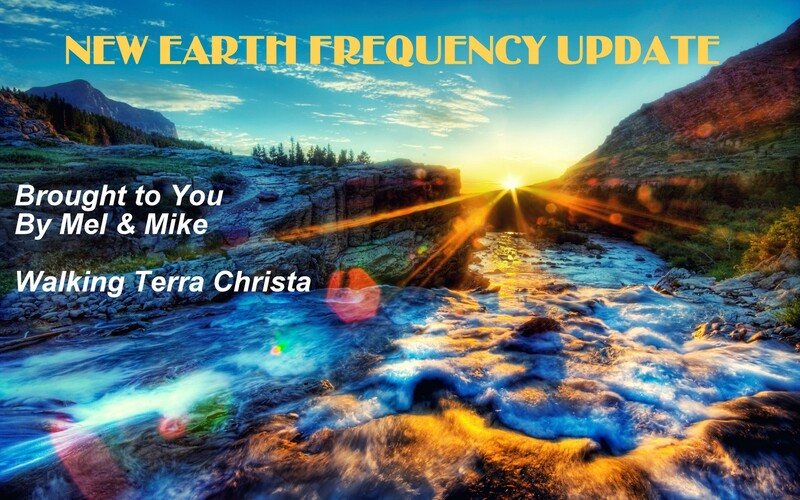 To see the Galactic message from Lord of the Great Bear, please click the link, The Galactic Surge of Light within Gaia, http://walkingterrachrista.com/channeling-2/galactic-surge-light-gaia/. It is my pleasure to be with you in this moment. We bring forth the energies of the 144th dimension in this writing. Please breathe deeply, call upon your Higher Essence to fully be with you so that you work with the information from your Higher Mind and not the Lower Self. Thank you, I Am Master Einstein. My role in this moment is to help the human consciousness to understand the process that is occurring presently. 2013 has been the year when synchronization would erupt within the consciousness of GAIA. That means that you, as an individual upon this earth, is holding that consciousness within you whether you are fully aware of it or not. This is how Oneness is initialized and this is the process you have been undergoing this year. Accelerations happening every couple of weeks whether it is from the changes of the seasons, the moon cycles, and the planetary alignments. As each of you are experiencing inner changes, every planet, star system, universe, and all cosmic levels are adjusting at the same time. It is how it occurs. When one object moves in a certain direction, it affects all other corresponding energies around it. Whether you go with the flow of that object or move in a different direction depends upon your own particular consciousness. It is the flow of life as it is eternal in each of us. So as each of you have been shifting into new thought patterns, life cycles, and consciousness, each of us is doing the same. That is why the Unified Whole of Oneness is now in its creation. We are all projecting from the Source of Light into the physical existence of our reality. As the accelerations are occurring, you cannot but be deeply affected. Now it depends upon your own consciousness. Where is your mind set? Are you on a pathway of mastery or just self discovery? Hopefully, where you are does not matter as we are all continually evolving into Oneness. The darkness is being shown by the light within each of you, each of us, and within the whole system of cosmic awareness. Depending upon your Free Will, you will either accept the Light for assistance or you will walk away from it and continue your usual state of Beingness. This is the choice that many will be making at this time. My role in this moment is to help you be aware of your responsibility upon the Pathway of Mastery with the upswing of energies that are going to be coming into the planetary structure within the next month. It is very important to allow these energies to come within you, to make the changes that are necessary, and purge the darkness that has kept you under the Veil of Forgetfulness. That is your role presently to work as hard as you can to be the master of your destiny and make the necessary adjustments in your life circumstance to allow your Higher Self and I AM Presence to rule your world. I ask of you, “Is this what you are presently doing in your life?” I pose this question as the Portal of Light on the 23rd of November will open up a passageway that is beyond anything else that you have experienced, and the other accelerations have been beyond powerful for each of you. This first activation represents the ability to see within yourself the depth of your pain and heal it deeply. The doorway will be open to bring forth a deeper acceptance and more increased knowledge to come from your Higher Self, the Higher Mind that will be of great assistance in your present life circumstance. It has the capacity to move particles of darkness that have enraged humanity for millions of years. The accessibility of working within your own level of mastery is beyond what I can share. But it must be in alignment with the Divine Universal Laws within the creation of the Cosmic Great Central Sun. It will bring forth the ability of mastery to be part of your normal way of living even if you have never studied with any of the masters before. Our worlds are integrating; the world of Divine Consciousness of Mastery and the world of Humanity. It is up to each of you to command this to be your Will from the Cosmic Great Central Sun. It is an essential component for each individual to be communicating with their Higher Self through their Monad and I AM Presence. The Mastery work is essential to allow this energy to be grounded within the physical body. There are those that are not working within their mastery level and only receiving the activationsm because it makes them feel better will find that their life will take on a different perspective. The entire planet is going to be effected as now is the time to come into full awareness of full disclosure of the self. The Portal of Light is opening up the passageway for the Comet ISON to pass into the Earth’s hemisphere, through the Sun, and back again. Oneness is occurring from the Galactic levels into the Solar Level to accelerate the planetary level of GAIA. This means that the frequencies of light of these worlds are coming closer together for alignment of all species. Are you ready? This is a very important question as whatever is not being served in the Light will be shown. The darker energies are now being revealed in a completely and different way. These energies can take the form of emotions, thought forms, people, organizations, and geographic areas. It is a time of great revelations for each of us. 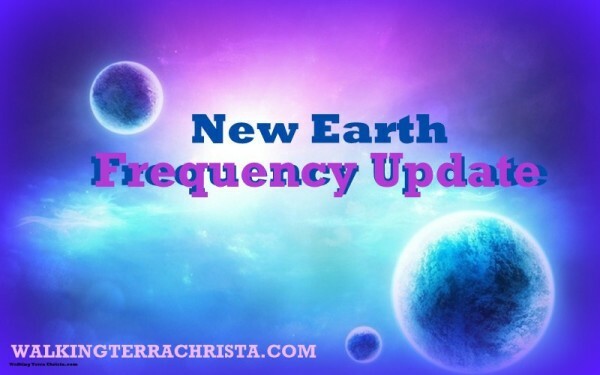 In order for the advent of the Galactic Christed Beings to be with each of you, each person must learn more about themselves while taking action to make the necessary changes. 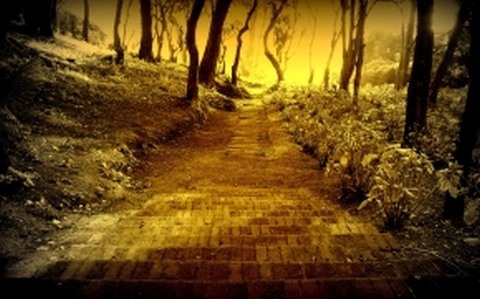 The ones that are serious about their pathway will accept the changes as they are supposed to receive the new essences. Again, as is always said, the Higher Self is guiding this energy on a personal level so that the Monad and I AM Presence can be fully activated. It will assist individuals to fully accept more of their challenges in their initiation phases; thereby, climbing the mountains and being able to see the progress that they have made. The preparation is being made to fully feel these essences of light on a personal level so that the planet can fully accept it. At this time, it is important to realize that as each of us is coming into full alignment, we will take on a new responsibility. As we work within the Creation of Oneness for GAIA, we must utilize our tools, our gifts, and our way of life to assist the planet. There are going to be many individuals that will not understand. There may be fear-based thoughts through the media and other venues. Individuals that have no sense of their God-consciousness will have a tendency to create unpleasant thoughts which will create situations to be compromised. 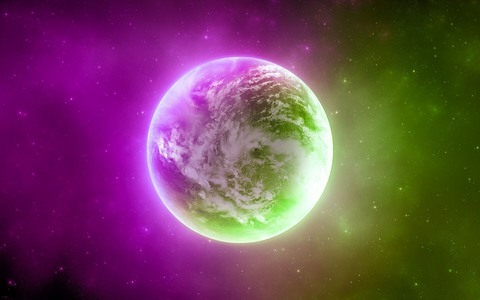 The dark forces of this planet are still very active; they are losing the battle but that is when they become strongest. It is imperative to know who you are, use your tools of protection, work with the Unified Whole, and command your Light within you to be centered upon the Earth. It is our time to unite with Love, Wisdom and Power. The beauty of ISON is that it is going to create the more light essence to be centered within the atmosphere of GAIA. It brings with it the Galactic frequencies to be intertwined within the Earth frequencies. This allows each of us to become ONE with each of you more than we have ever done before. We need your help to create ONENESS within the earth. 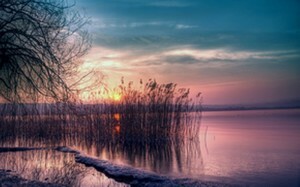 It is not just thinking loving thoughts, or doing wonderful deeds to others; it represents the ability to allow your own Oneness of the Self to be infiltrated within your Being. Know when something does not feel right and adjust it immediately. Work through your program of initiations, step into the challenges, do not let fear stop you, and command your highest presence to fully be your guide. When the fear arrives, so do the other energies. Do not be aggressive, but surrender your angers and frustrations. Transmute it; utilize the Rays of God to assist you and will become the Master that your Higher Essence is asking you to be. Step into the lower energies, and you may be lost for a long time. This acceleration is going to open everyone up to new possibilities upon the planet. I ask you to command your Light, do the work that is necessary so that others can feel their own Love, Power and Wisdom to be commanded within their Being. You are a Sovereign Being of Light and command it to be. We are all standing by through the next month to assist you with these energies. We are achieving what was hoped in 2012 and now you are ready to embrace it. To learn more about the Unified Whole Command, see our blog entitled “Why Is It So Important to Connect to the Unified Whole” http://walkingterrachrista.com/unified-whole/unified-whole-importance/, or check out our Video, Oneness the Unified Whole, http://www.youtube.com/watch?v=_6to86FzVj0.